© Licensed to London News Pictures. 26/06/2013 London, UK. Romanian immigrants wait to be served eviction papers after a dawn raid on Hendon Football Club, Hendon North West London. 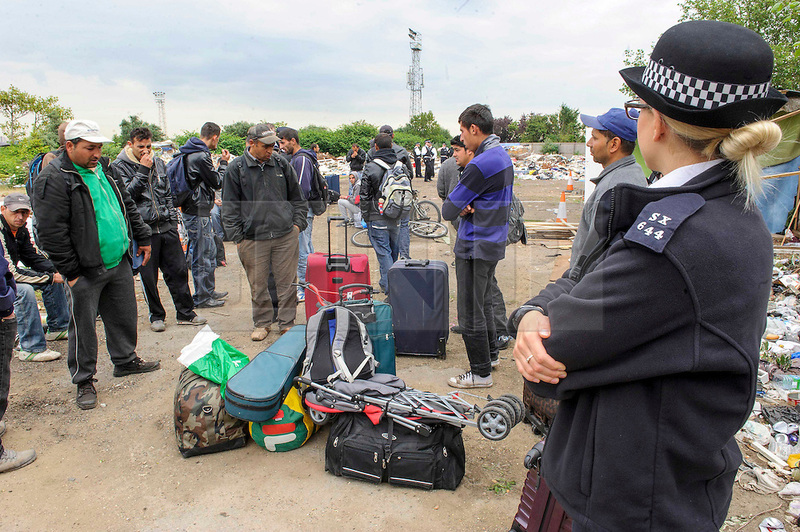 The 68 illegal immigrants were removed in a joint Home Office Immigration, Met Police and homeless charity operation after the site has been occupied for more than 2 years.